Home »David's Blog»Church Membership? – what does it mean? Church Membership? – what does it mean? We recognise the limitations everyone has regarding time and availability but recognise that those who belong with us give priority to worshipping God with our community. This involves attendance at planned meetings like the Family Praise, Home Group and Prayer Meetings. It includes commitment to Psalms, hymns and spiritual songs as an act of worship; hearing God’s Word in a receptive way and being happy to provide from one’s resources for the costs of running of the fellowship and providing for Missionary needs. 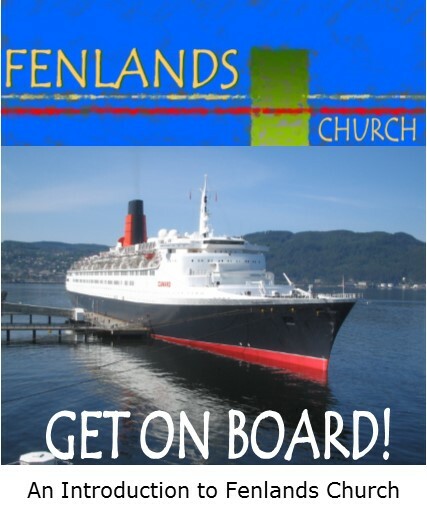 Fenlands Church is a mission work – an outpost of God’s kingdom. As a result, we have some particular characteristics and emphases. We keep an open-hearted loving attitude to everyone and welcome all to be with us. We try to maintain several activities that bring people into contact with us without the trappings of “church” but with all the anointing of God’s Holy Spirit. We include the Good News about Jesus Christ in all we do. We honour the Bible as God’s revealed Word – a companion to the work of the Holy Spirit and, through the Holy Spirit, a revelation of Jesus Christ – God’s Living Word. We expect honour to be given to the preaching and teaching of the Word. This includes a level of obedience and faith required by the teachings of the New Testament. We are aware that there are some doctrines that are made obscure through the different views expressed in religious books and broadcasts. In these we expect grace to be shown on all sides and a loving aim to come to the full unity if the Spirit in Christ. It is possible to serve together and work towards that unity without being divisive. It may be that someone is happy to meet with us on a fairly regular basis without wanting to adhere to these principles. We welcome everyone whatever the stage they are at. However, we would not expect that people with this view would want to be influencing or challenging our standpoint on doctrine and practice. We have a booklet, GET ON BOARD, available online at our website, that gives more detail about what we believe and how we express this.